Demonstrators who arrived early Saturday were on opposite sides of the street and being kept apart by metal barriers and dozens of police officers. 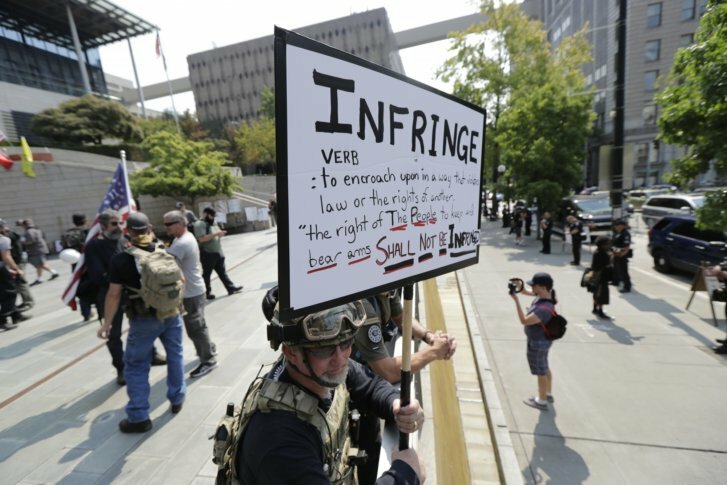 SEATTLE (AP) — Right-wing demonstrators gathered Saturday in Seattle for a “Liberty or Death” rally that drew counter-protesters from the left while dozens of police kept the two sides separated. Three men were arrested, all for misdemeanor assault, Sgt. Sean Whitcomb, a Seattle police spokesman, told the Seattle Times.